The Chrysler’s top-of-the-line, 2018 Chrysler 300C model is equipped with 5.7L Hemi V8 engine, Multidisplacement System (MDS), in this engine runs on 4-cylinders when less power is needed to reduce overall fuel consumption. The USEPA-rated fuel consumption of the 300C is 15 miles per US gallon (16 L/ 100 km; 18 mpg Imp) city and 23 miles per gallon US (10L/100 km, 28 mpg Imp) highway. When all eight cylinders are run, the 300C can be produced 340 kW (250 hp) and 390 lb·ft (530 N·m) of torque make. Chrysler 300C uses a five-speed automatic transmission and comes standard with 18-inch alloy wheels Chrome dressed, Chrysler’s MyGIG Infotainment System in 2008 and SIRIUS Satellite Radio and Backseat TV in 2008. The 2018 Chrysler 300C Hemi engine includes a pushrod induction tube, fitted on the side of the engine block. This tube makes the Chrysler 300C more fuel efficient and faster due to the air “went and pushed” into induction area of the engine. The engine uses the Hemi, or double rocker configuration, with a cam-in-block, overhead valve (OHV) pushrod design. There are two spark plugs per cylinder to promote efficient fuel/air mixture burns and thereby reducing emissions. In 2009 – 2010’s power increased to 360HP. 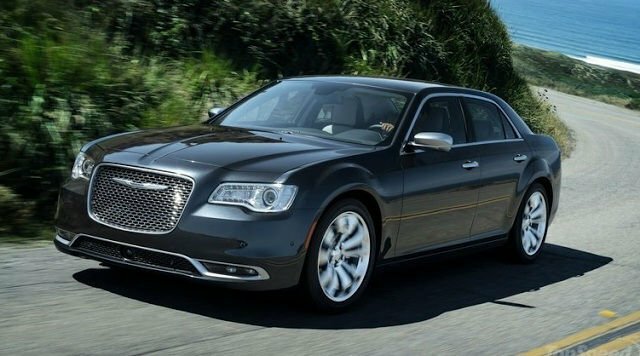 The Chrysler 300C 2018 model will sell in Europe and Australia and Japan as both a sedan and a station wagon. The station sells shared the 300C Touring, which many of its sheet metal AFT of the c-pillar with the Dodge Magnum. The base Chrysler 300 is sold in Europe, instead, all the cars come with the 300C body style/interior and a choice of either V6, diesel or V8 petrol power supplies. All 2018 Chrysler 300C Touring models, with European Chrysler 300C sedans and right drive models, are made by Magna Steyr in Graz, Austria beginning in June 2005. The 2018 Chrysler 300C station wagon body style was discontinued.